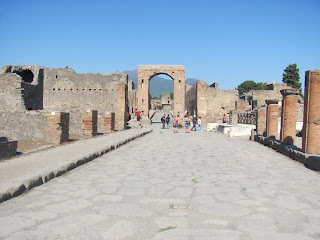 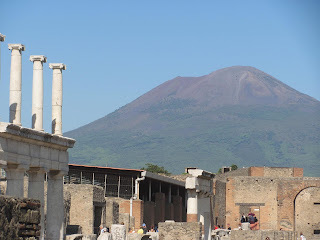 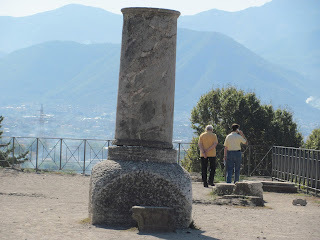 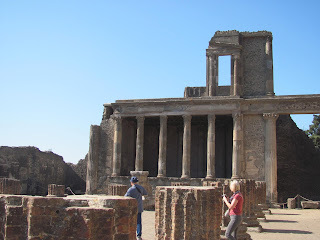 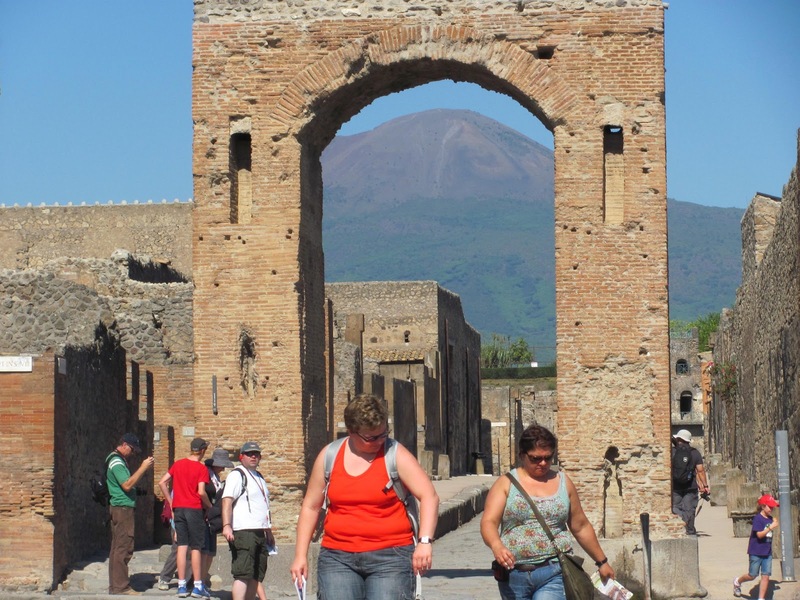 En route from the Amalfi Coast to Tuscany, we stopped at Pompeii to view the ruins of the city destoyed and buried by 13 to 20 feet of ash after Mount Vesuvius erupted in AD 79. 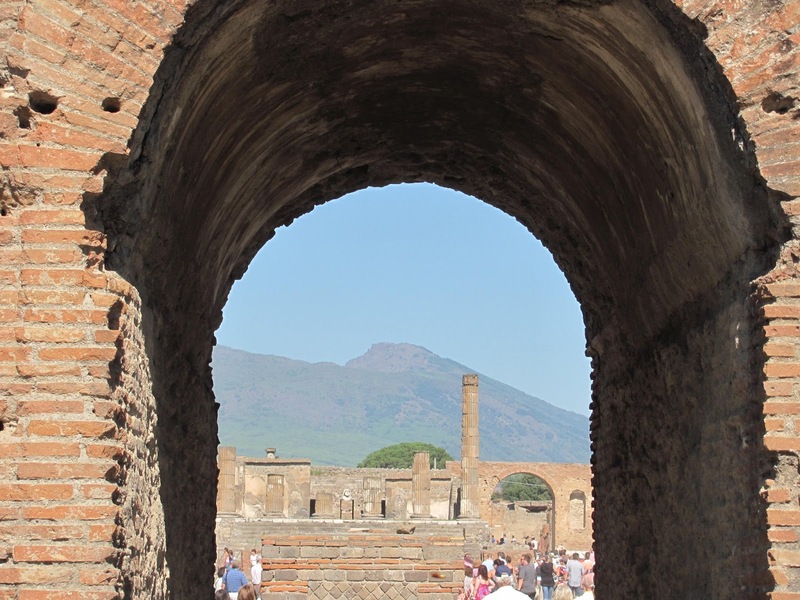 Today, 2.6 million tourists visit the site each year and to take a peek at Roman life in the first century, until Mount Vesuvius erupted. 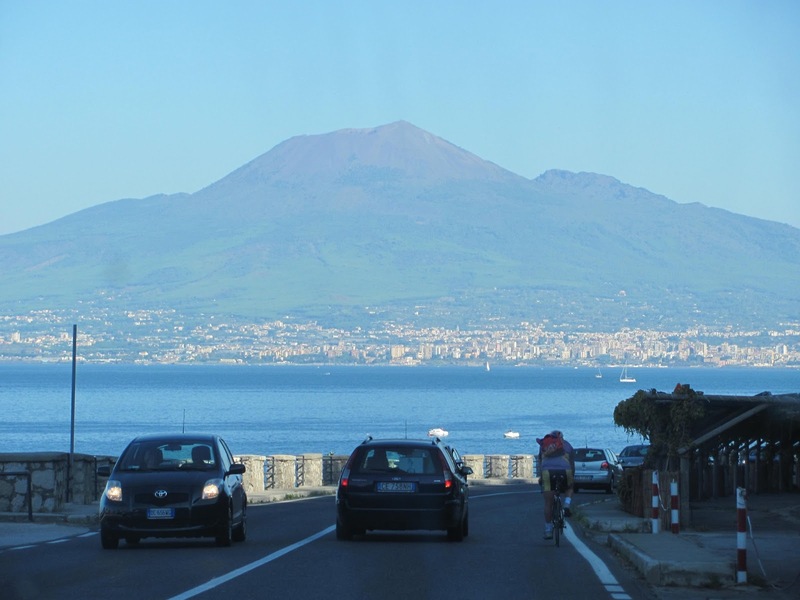 When the volcano, located near what is now Naples, erupted, ash and dust poured into the city like a flood and killed 2,000 people. 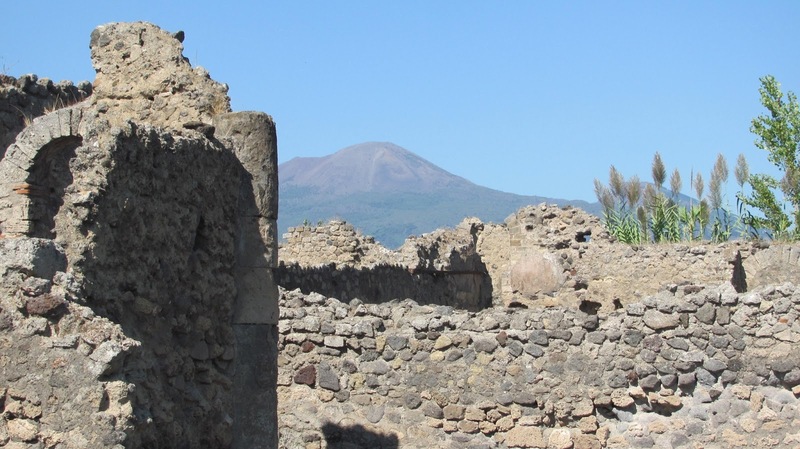 The volcano did not produce lava but instead involved superheated gas and volcanic ash. 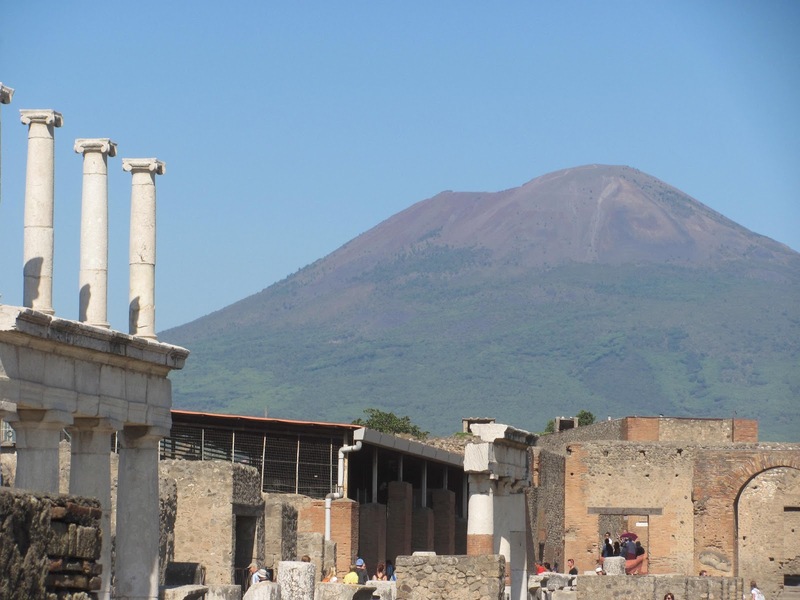 Ash fall was detected as far away as Africa. 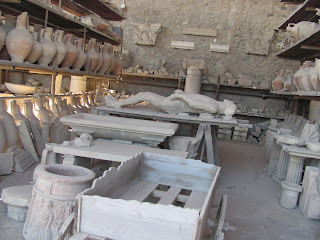 Fifteen hundred (1500) years later, Pompeii was rediscovered and explorers found that most of the objects laying beneath the surface did not deteriorate and instead were well preserved due to lack of air and moisture. 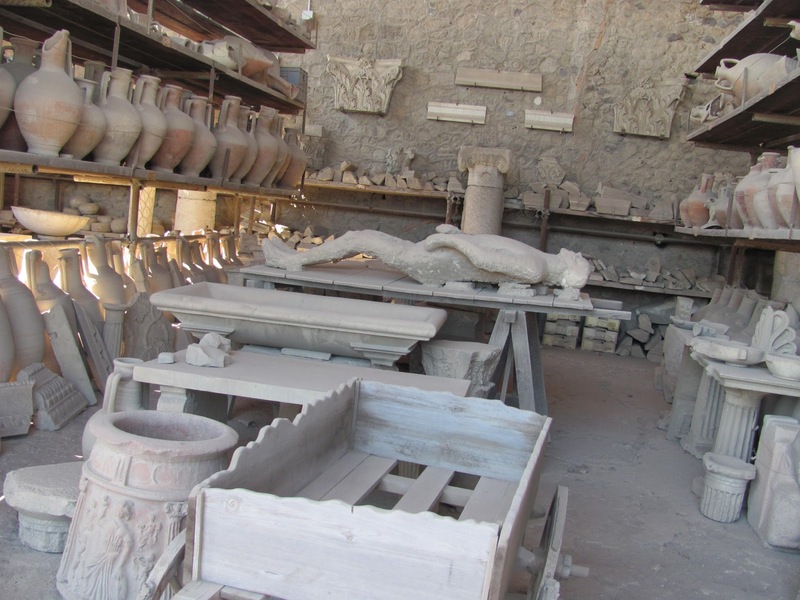 Excavations produced skeletons, buildings, cobblestone streets, pottery, artifacts, mosaic floors - an entire city underground. 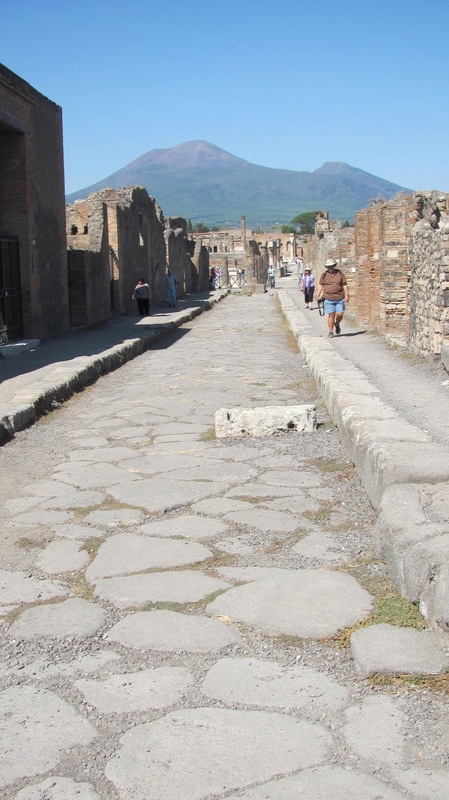 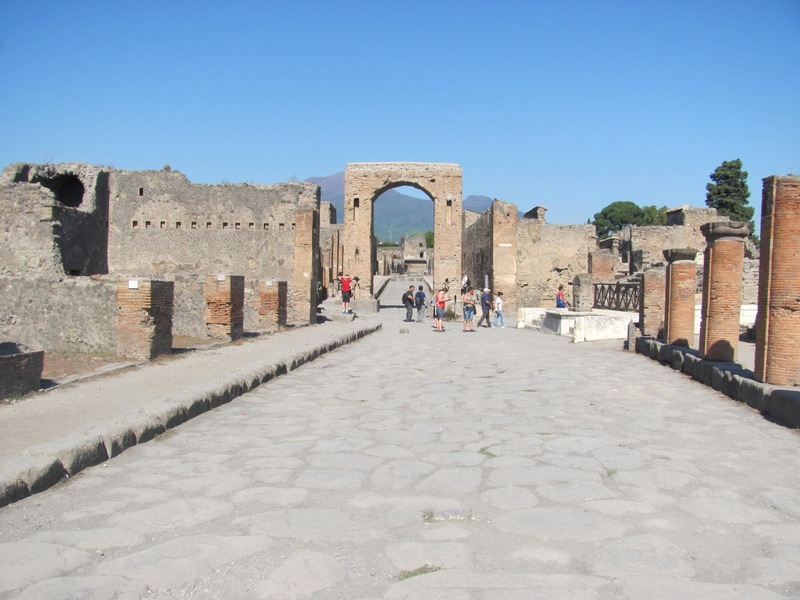 Pompeii was a thriving commerical business center and community until the eruption. 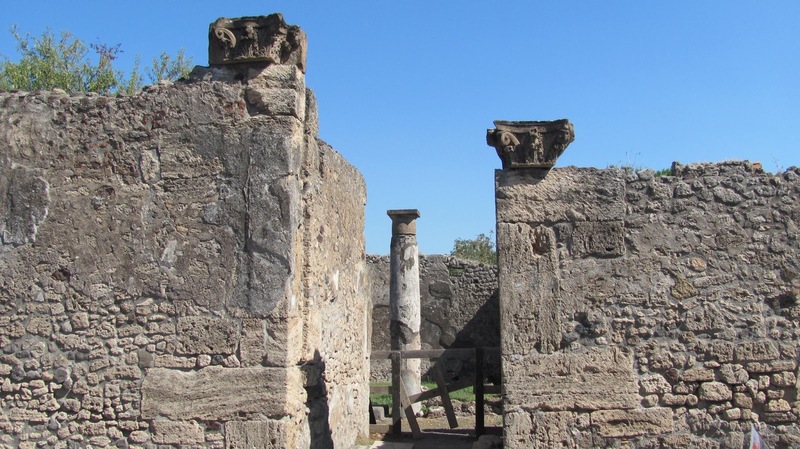 The city includes several restaurants, a food market, baths, a mill, a hotel, a bar, a brothel, an ampitheatre and two theatres and a sophistcated aqueduct system that provided water for the town - even the houses. 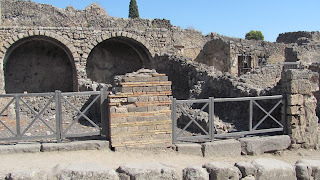 We visited Pompeii on a sweltering day in October. 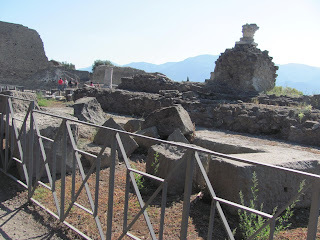 We could have spent days exploring this site but due to the heat and a long drive ahead of us, instead spent about four hours walking around. We rented audio guides, which helped us navigate the carefully mapped grounds. I highly recommend carrying water and wearing a hat as there is very little shade! 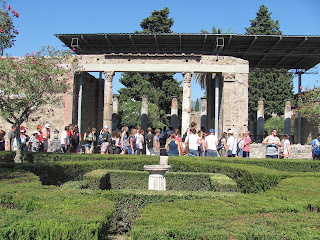 When we visited, we paid 11E each to enter the ruins and 10E for two audio guides. 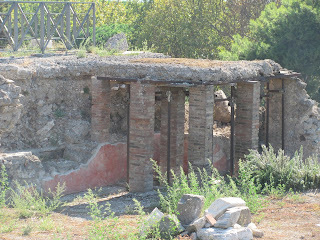 Here are some photos of the ruins. 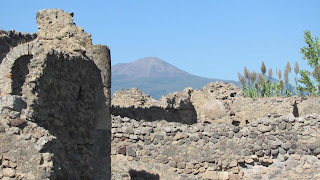 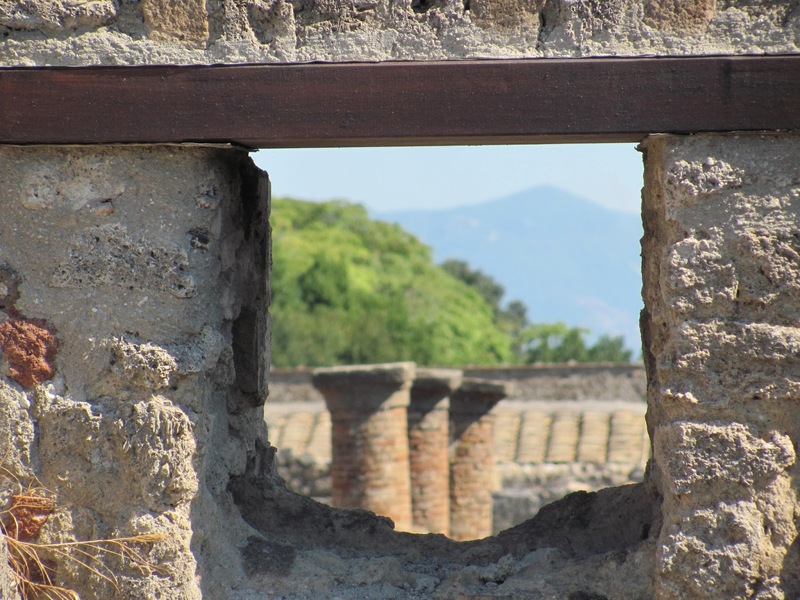 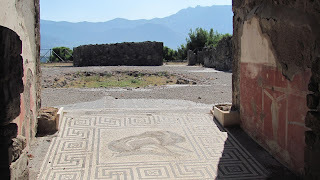 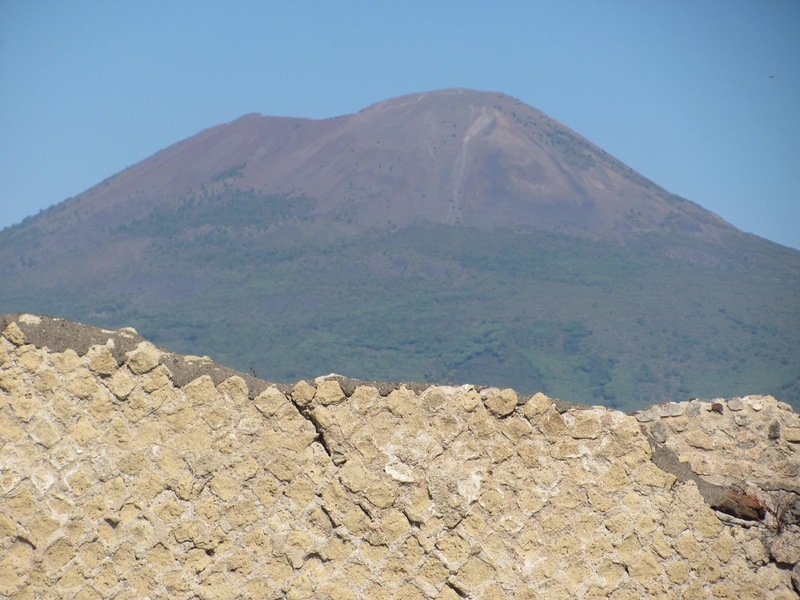 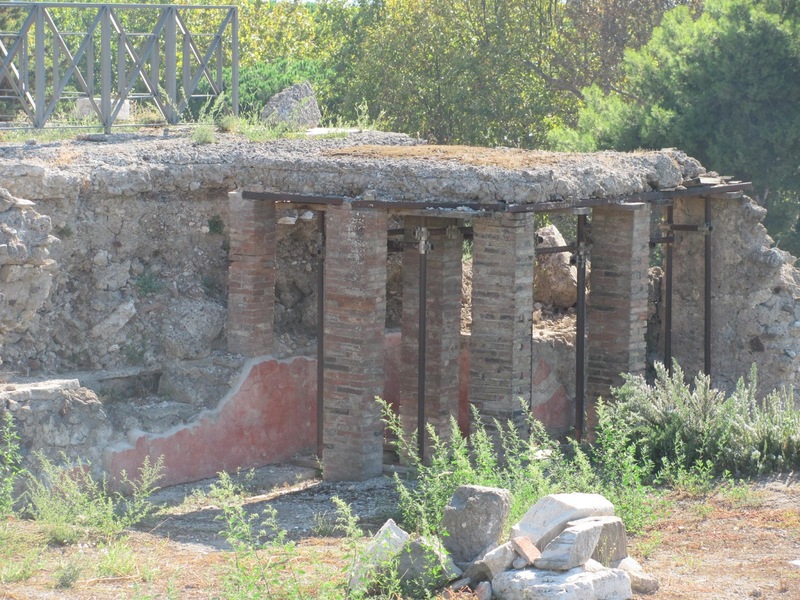 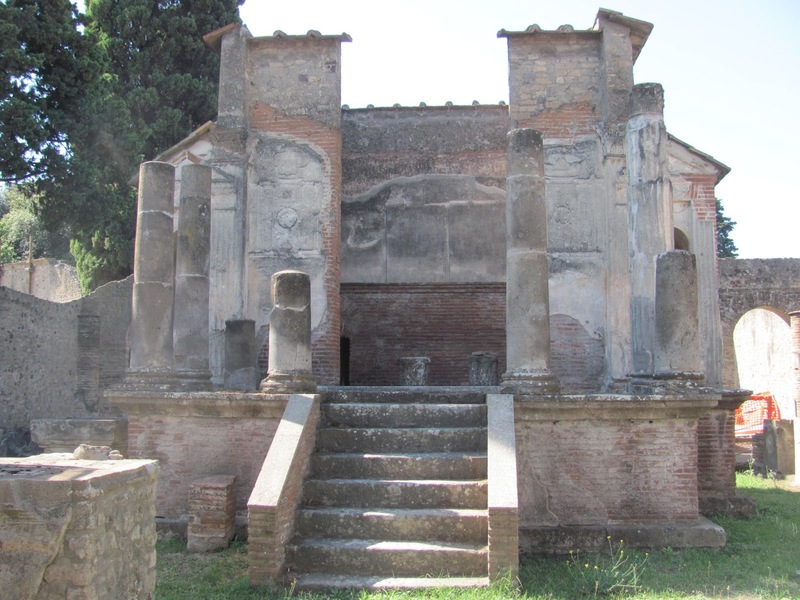 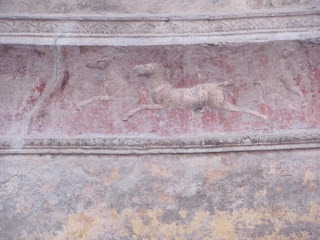 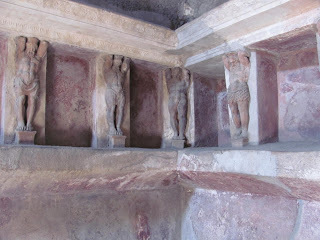 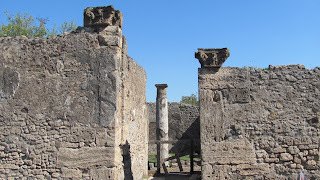 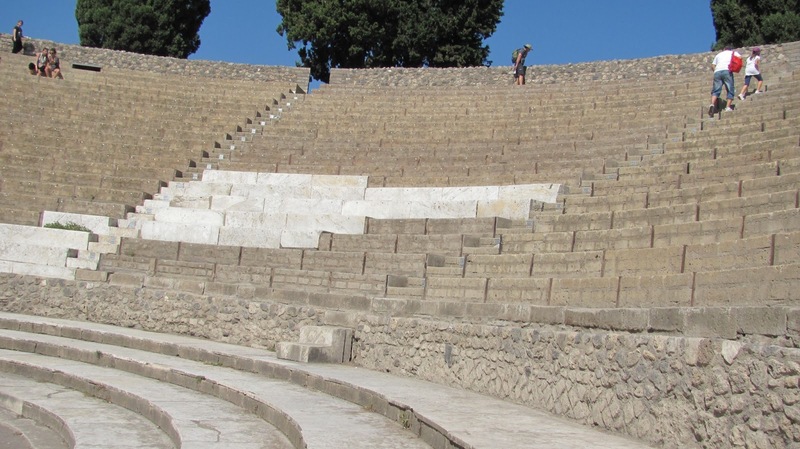 To learn more about Pompeii, click here. Thanks for reading!